Media Computation (nicknamed "MediaComp") is a contextualized approach to introducing computing using a ubiquitous theme of manipulating media. The critical characteristic of MediaComp is that students create expressive media by manipulating computational materials (like arrays and linked lists) at a lower-level of abstraction. Students manipulate images by changing pixels, create sounds by iterating over samples, render linked lists into music, and create artifacts like collages, music, and digital video special effects. In so doing, the students learn computation. Our Ebook for students learning AP CS Principles in Python includes image manipulation. For teachers still using the first edition: First edition Slides(.zip) and Python Book Bugs List. 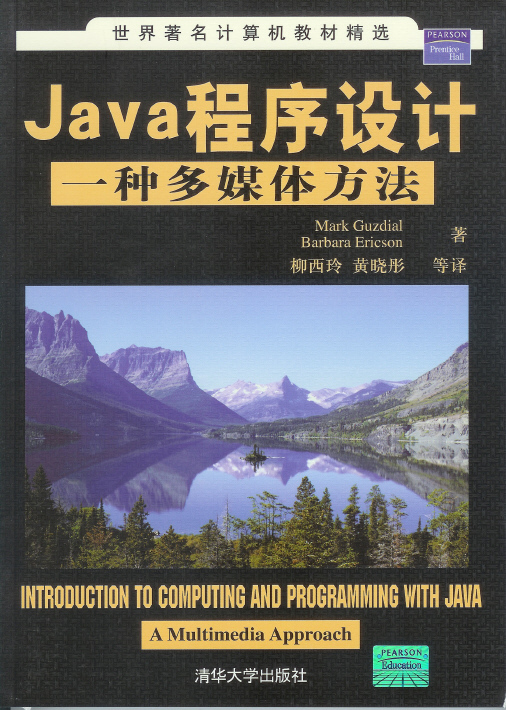 Introduction to Computing and Programming in Java: A Multimedia Approach by Mark Guzdial and Barbara Ericson. mediasources.zip (updated Summer 2009) which contain all media used in the book. Exploring Wonderland: Java with Alice and Media Computation by Barbara Ericson, Wanda Dann, and Steve Cooper.
. Problem Solving with Data Structures: A Multimedia Approach by Mark Guzdial and Barbara Ericson. Java-Sources.zip (Different than CS1 Java-Sources) – which contain all the java sources and the 3 .jar files that needed to be added to the Extra Classpath in DrJava. Other books are including Media Computation in their themes and exercises. All of the Assessment Tools that we have used in our studies of Media Computation are available. At SIGCSE 2007, we had a Media Computation Art Gallery with pieces contributed by students around the country.